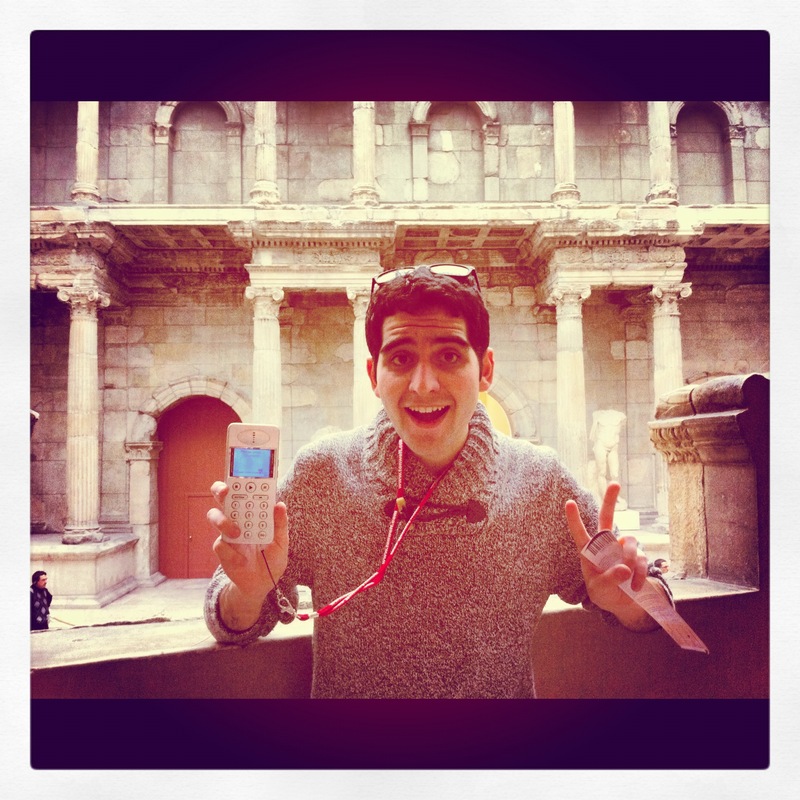 It’s the home of roman-style, grandiose architecture that stands out amongst developing a developing retro aesthetic. Berlin: at once, it stands out as the antithesis of anything traditional, yet it encapsulates the essence of an old Germany. If you could conceive a city that celebrates the traditional yet continually searches to break from the norm and embrace progressiveness, Berlin’s the closest thing to it. Perhaps Berlin’s dualistic nature stems from its unique experiences with extremes. I wouldn’t call myself a history buff, but I’ve definitely gained a stronger appreciation for it during my time in Europe. 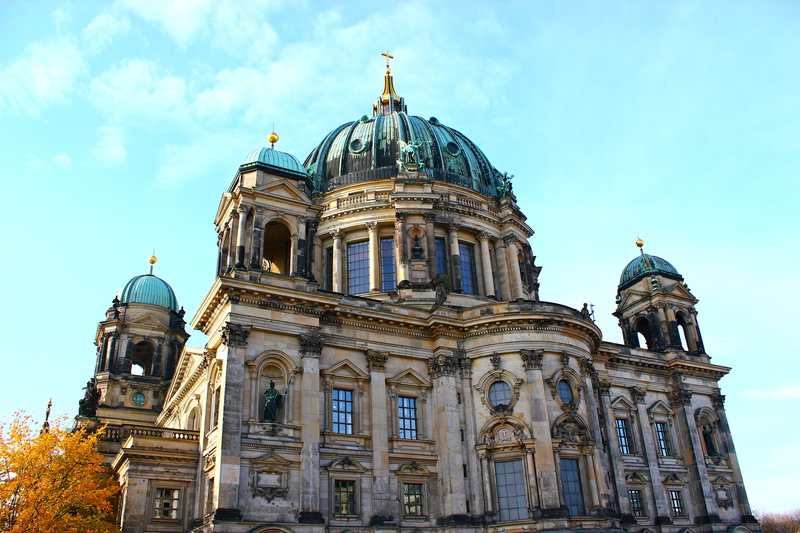 From the end of the 19th Century, Berlin became known as the cultural mecca of Europe. Arts and the alternative were celebrated for many years. Florescent lights and raw, graphic street art are commonplace in Berlin today—as it was almost a century ago. It was a city that embraced a liberalist approach to life; a progressive city with citizens that championed eccentricity and strived to challenge the conventional. The city’s character eventually came into conflict with Nazi ideology after the fall of the Third Reich. Under Nazism, Berlin transformed into a hub of authoritarianism. Not only was the city re-envisioned as the capital of an authoritarian nation’s expansionist policies, but authoritarianism also became the aesthetic. Large, monumental structures still standing today sprung up throughout the city. And though Nazism did not survive long in Germany, authoritarianism certainly left a legacy. Immediately after the fall of the Nazi regime, the city of Berlin divided into two—one belonging to an American-supported, democratic nation; the other belonging to a Soviet-supported, Communist regime. The divide between East and West Berlin predates the dualistic aesthetics one observes today in Berlin. Nowhere else in the world can one step foot in the 1970’s portal of Alexanderplatz in East Berlin (probably one of the more retro areas of the city) and be only a few city blocks away from the aggressively neo-classical Museum Island—a collection of authoritarian-style churches and halls that now serve as the city museums. And speaking of museums, there are plenty of them in Berlin. I was travelling with three friends from my Kollegium back in Copenhagen, and since we were only in Berlin for two days, we ended up seeing only two museums. One of Berlin’s most famous museums, the Pergamon, hosts some of the world’s oldest artifacts—including full-scale Roman edifices, the Babylon Gate, and the world-renown Pergamon Altar. 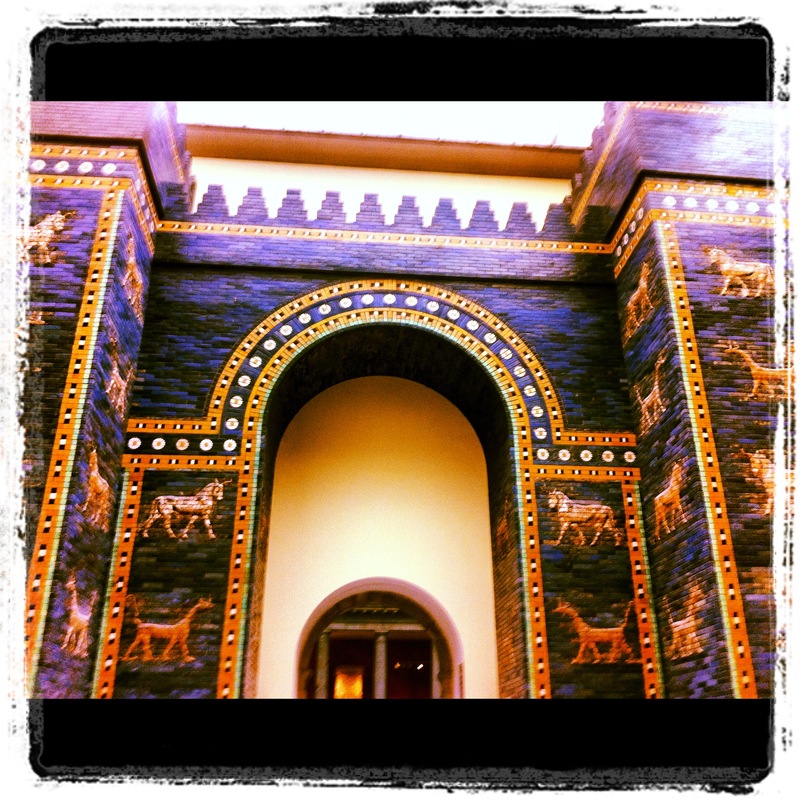 An absolutely breath-taking museum, especially since I’ve never seen artifacts that old since I’ve been in Europe. 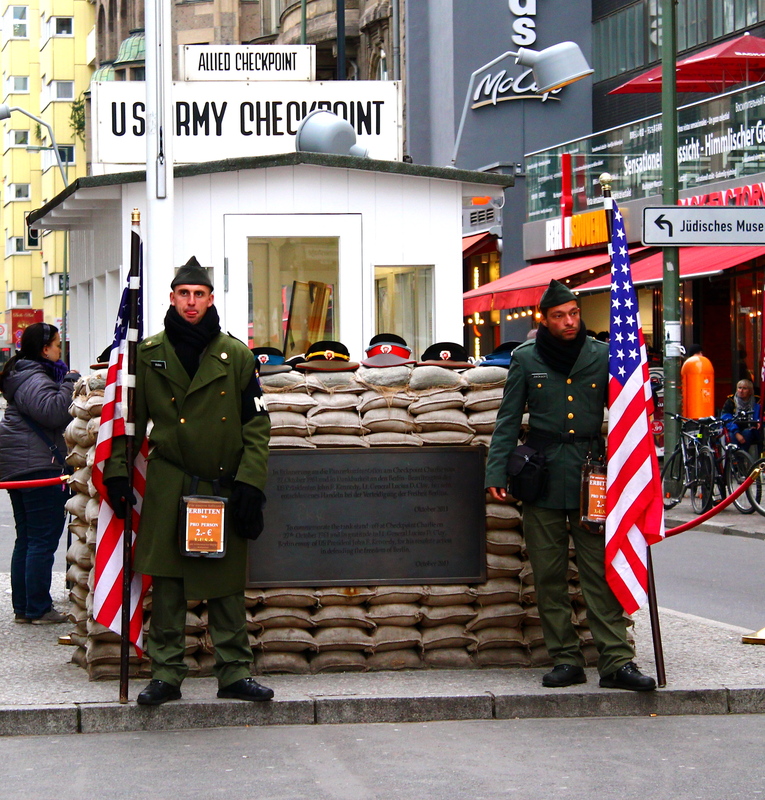 Following the Pergamon, we hit up Berlin’s top tourist attraction: Checkpoint Charlie. This was the checkpoint where East Berliners had to cross in order to enter West Berlin. The walk leading up to the checkpoint builds some anticipation. Reconstructed pieces of the Berlin Wall are displayed around this small town square, repainted with modern allegories for contemporary audiences. Getting to see the actual checkpoint was remarkable. In this one little street corner so much history was made. Though it feels a bit tacky (two German guards are standing at the checkpoint carrying large American flags to re-create the sense of patriotism and security of the time period), the remnants of authenticity had a lasting impact. The cold rain that day definitely supplemented the atmosphere of the checkpoint. When visiting Checkpoint Charlie, visiting the Checkpoint Charlie Museum (not just the actual checkpoint) is an absolute must. In addition to providing context, the museum has plenty of historical photographs, video galleries, and individual accounts of life in Berlin during Communism. The museum really does provide insight into the hardships of living in East Berlin and highlights the desperation that drove the people living under the shadow of Communism to flee East Berlin. After a day full of walking around in the cold rain, it was time for a 3-hour nap (the 4:30 AM wake up to catch a 7 AM flight out of Copenhagen didn’t help either). 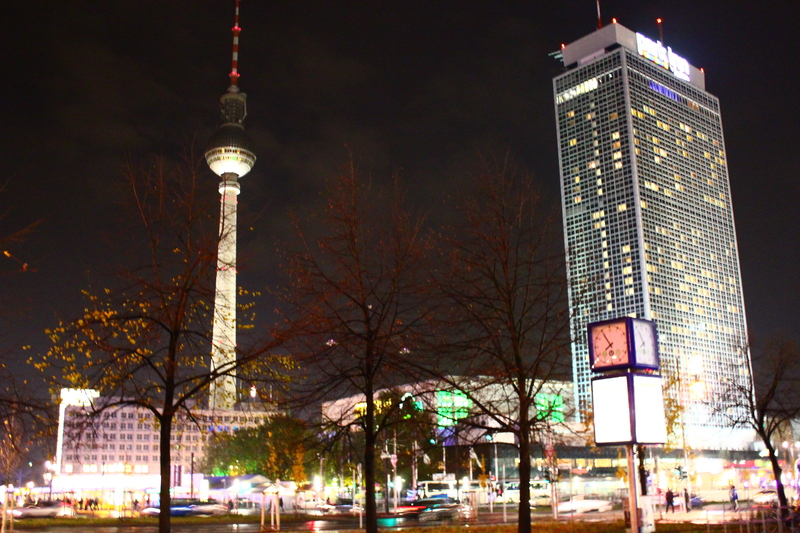 The nap was well needed to prepare for a taste of Berlin’s nightlife. Many say no other city rivals Berlin’s unique bar/club scene. Perhaps I would agree, but my experience with Berlin nightlife began and ended at the Hofbräuhaus München restaurant in Berlin. I was craving traditional Bavarian food, and nothing is more traditional than an Oktoberfest-themed restaurant (my friend Jackie and I wanted to go, so our other friends traveling with us could get a taste of the real German Oktoberfest). So we made a reservation for Hofbräuhaus. The restaurant is actually a replica of the tent I went to during Oktoberfest in Munich. The long, family-style, wooden tables and a live Bavarian band gave an authentic vibe to this beer hall. Much like at Oktoberfest, the servers were dressed in traditional lederhosen and served liter-sized beers. The food was exactly what I was expecting: stuffed with meat, exaggerated in portions, and mouth-watering. 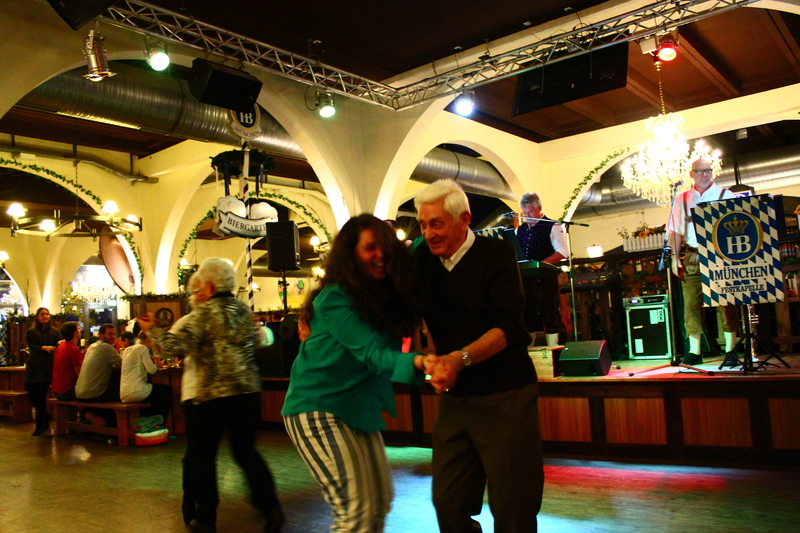 A very merry elderly man at one point hit the dance floor (yes, there was even a dance floor), and we all took turns jiving with this cheery German. 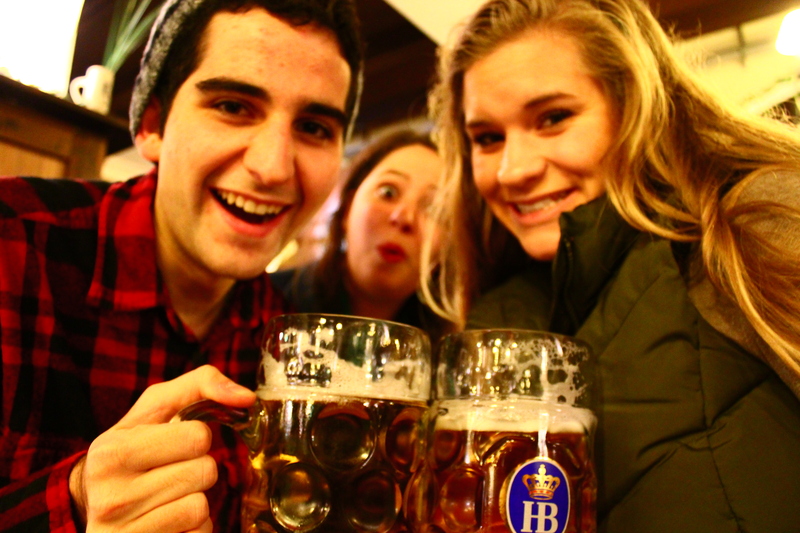 Though the atmosphere was nothing like the chaos of Oktoberfest, we all had the time of our lives. 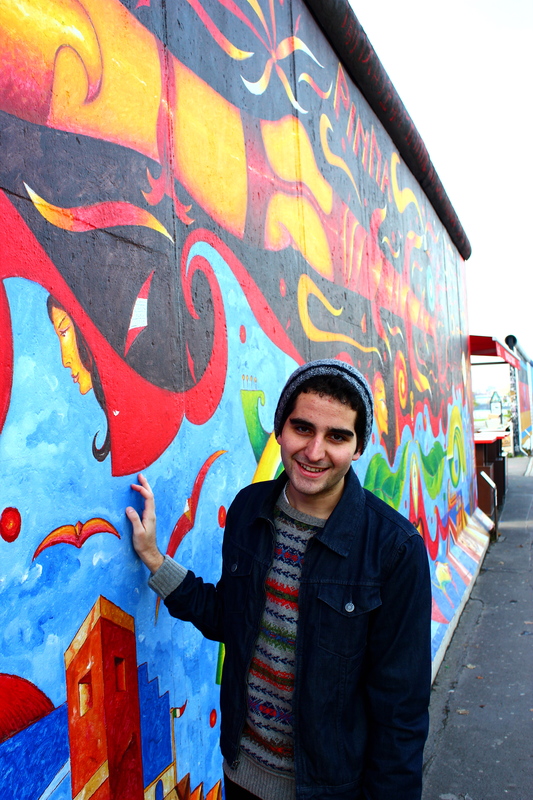 During our last day in Berlin (the weather was much nicer), we decided to spend the morning strolling down the East Side Gallery. 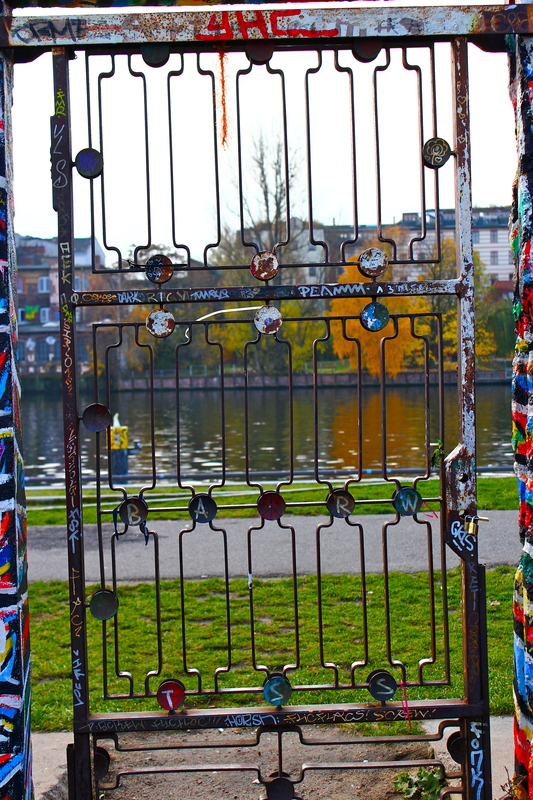 This outdoor gallery, which replicates part of the Berlin Wall in its original location along the river formerly dividing East and West Berlin, displays the street art of new-age artists in attempt to re-create the aesthetics of East Berlin. 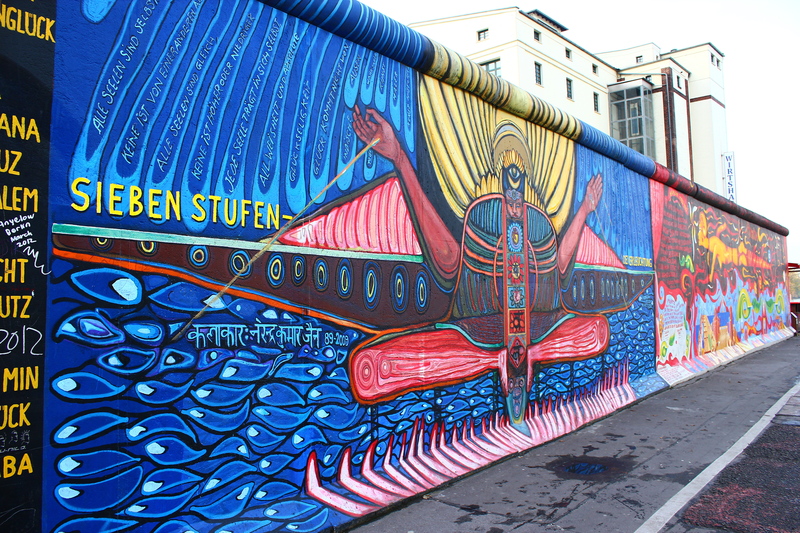 During the construction of the East Side Gallery, many of the artists who painted on the original Berlin Wall were invited to re-create their paintings on this very wall—sparking much controversy among the artists and the German people who wished to forget about life in the shadows of authoritarianism. Going to see the wall well aware of its inauthenticity, I was still struck by the gripping, raw, graphic art along this kilometer stretch. Much of the art remained heavily politicized, drawing attention to the development of Berlin since the fall of the Wall and the shortcomings of the German government since that time. It was an absolutely fascinating thing to see, especially for contemporary eyes. 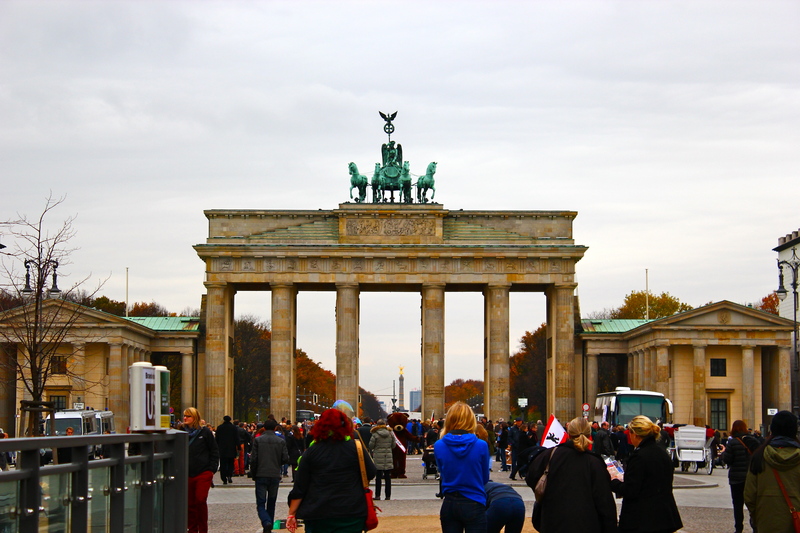 Speaking of East Berlin, I was shocked that during our stay in Berlin, we never stepped foot once in West Berlin. 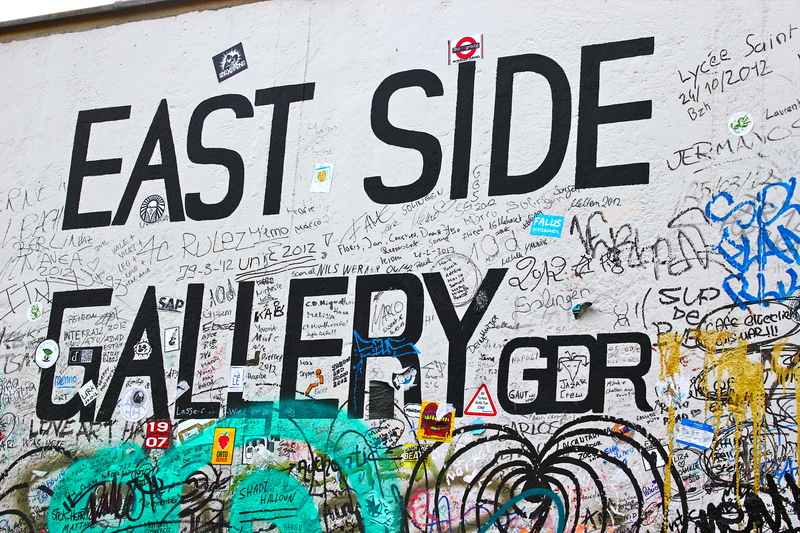 Many of Berlin’s attractions are actually located in former East Berlin. Had we desired to see West Berlin, maneuvering around the city would have been easy because of the relatively cheap bus and metro systems—which run 24 hours/day on weekends. But Berlin is MASSIVE. Interestingly enough, the original city planners designed the city to comfortably fit an estimated 8 million people, but the city today has merely 3 million inhabitants (talk about unsustainable). No wonder parts of Berlin feel empty at any given point in the day. I’d have to say it was the first time I felt like I was in a Metropolis since I’ve been in Europe. Even compared to Paris (which is an incredibly large city), the antiquities and pedestrian friendliness of all the Parisian streets toned down the metropolitan feel of the city. Getting to experience Berlin with a group of friends definitely made a huge difference. As much as I loved traveling with my parents during my last break (Mom and Dad, don’t worry…I never get fed as extravagantly as when I’m around you two), experiencing the city with people that have the vigor of energizer bunnies on only 4 hours of sleep (and maybe several cups of coffee later) allowed me to take real advantage of Berlin’s attractions in the mere 36 hours I spent there. 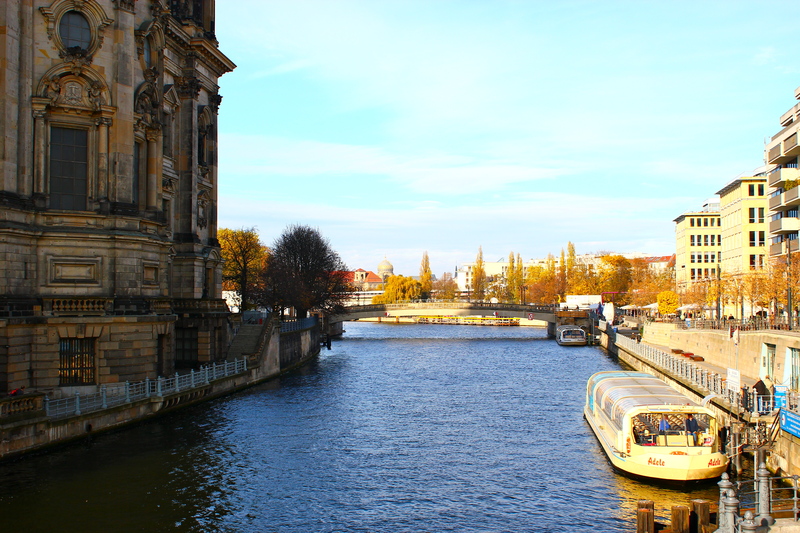 In the end, Berlin was exactly what I was expecting. But I had high expectations. And they were met. Though the ultramodern feel of East Berlin was a bit overbearing, I could appreciate Berlin’s desire to be the capital of all things Retro. Staying in an incredibly swanky hostel in Alexanderplatz (a central square in East Berlin) on its own felt like cultural immersion. It also didn’t hurt that the hostel was centrally located. When you talk about a city with culture, this is it. So many years of history have contributed to Berlin’ contemporary character: an aggressively progressive place that celebrates tradition.